The Oregonian laid off 37 employees this week, most of them in the news department. Publisher N. Christian Anderson III cited declining revenue and the “migration of advertising to the Internet” as the reason for the layoffs. Its a story we’ve seen over and over again in recent years in the newspaper business, but the good news is that many reporters have made the transition to blogging and attracting a large following online, where they are free to set their own editorial policy and keep 100% of the advertising revenue for themselves! The key to success has always been adaptability and the Internet has simply accelerated the pace. While the shift of communications from print to online continues to challenge publishing businesses, commercial printers, the USPS and traditional advertising agencies, it also presents unprecedented opportunity for advertisers. Companies can now leverage their own website, social networking sites, email marketing and online display advertising, pay-per-click advertising and a host of related techniques to get their messages out to prospects and customers. And while large corporations began allocating marketing spend to Internet channels over a decade ago, tools such as geo-targeted search engine advertising, local online directories and niche social media websites now enable companies of all sizes to achieve greater efficiencies and more effective campaigns online. Many small business owners we speak with these days still tend to view their website as “just brochureware”, meaning they pay a web designer to put up a few static pages on their site and then leave it, expecting somehow that people will magically find it among the billions of web pages already on the Internet. But the truth is that you have to view your website as a living, breathing entity in order for your online marketing strategy to succeed. At the very least, you need to be sure your web designer uses a content management system (CMS) and assign people in your organization to keeping it up-to-date and adding posts to the blog section. And if your web designer didn’t do keyword research so that you know what search phrases people are likely to use to find you on Google, Bing and Yahoo, then you are at a competitive disadvantage versus others in your niche who know what keyword phrases are relevant and use those keywords throughout the content on their website. Use your website to be relevant to your target audience. Post useful content regularly. Sign up for HARO (help a reporter out) and you can see what stories reporters all around the world are working on. If you are an expert on the topic HARO reporters are researching, you can respond and get quoted in the story. The number of online tools at your disposal is truly amazing if you just take the time to learn what they are and how to put them to use. Many business owners and marketing managers get caught up in the hype surrounding social media these days; what’s the impact, how can I leverage social media, which social networking sites matter, etc.? And while each business requires a unique social media strategy to engage its target audience, the key is not what you say about yourself on social networking sites, but what your customers say about you! The Internet is all about transparency; we all know that when a customer has a positive experience she might share her story with up to 3 of her friends, but if a customers has a very bad experience, he will share his story with as many as 10 people. But in today’s online world, customers can share their experience with hundreds or thousands of others simply by writing about it on the Internet. Initially this can seem very frightening; what if my competitor gets his best customers and friends to go online and say bad things about my business? The truth is some amount of this activity will happen, but the way to overcome this challenge is to encourage every one of your customers to review you. 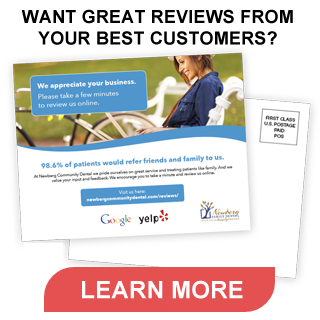 If they have a Google account, ask them to review your Google local listing. If they’re a Yelper, you probably won’t even have to ask them to review you on Yelp. If your customers tend to frequent Insiderpages or Citysearch, ask them to give you a review there. And if you are a contractor, you absolutely must encourage your customers to review you on Angie’s List. You can register your business with Angie’s List Company Connect service free of charge. Remember that for every bad review you might get, if you have 10 positive reviews you’ll be far ahead of the competition, who may not have more than 3 reviews or may not even yet know to set up local listings on all these sites!